Cookies are small text files stored on your device by a web browser (e.g. Internet Explorer) that hold information about your previous visits to our site. On returning to our site this stored information is fed back to us allowing us to offer you a more personal browsing experience. By using our site you consent to cookies being used in accordance with our policy. For more information on cookies, visit the official ICO website at http://www.ico.org.uk/ or http://www.whatarecookies.com/. This policy will explain how we collect, process, manage and store your data and how your privacy and personal data is protected under the above legislation. We constantly review changes in these regulations and will amend our polices accordingly. Importantly we will update this policy after the UK’s exit from the European Union. What we may require from you. In addition please read in conjunction with our cookies policy. Consent – when you give us specific consent to use your data for a given purpose. For example when you ask us to provide you with details of the sales process (client/vendor), or when you enquire about an acquisition opportunity (potential purchaser). Legitimate Interest – this legal basis allows us to use personal data in a way that might reasonably be expected as part of running the business. This basis does not affect your freedom or rights and you have the right to request that the information we hold is erased, or that communication preferences are changed. To request changes to your data please contact us. An example of BPML using the legitimate interest legal basis is through direct marketing channels to advise you of services that might be relevant to you, or to advise you of an acquisition opportunity that might be relevant to you or your business. Anti-Money Laundering (AML) background checks. We collect personal data where people have expressed an interest in buying or selling a business This information is processed under our legitimate business interest and shared internally with our Regional Partners for helping our clients sell their business or assisting others find the business that is right for them. Regional Partners CRM and Marketing Activities We use a proprietary system for controlling data and it is managed by external developers and hosted by Rackspace Inc.
Mailing Manager Email Marketing Platform Mailing Manager has certified compliance with the EU-US/Swiss-US Privacy Shield Frameworks. Google Analytics Website and Campaign Metrics Google own and operate data centres around the world in order to keep their products running efficiently. They adhere to the EU-US and Swiss-US Privacy Shield Frameworks for data compliance. BPML will update this list from time to time as our systems and operations evolve and inform you accordingly. BPML is the sole owner of any data you provide us. We only look to use your data to inform you of our products, services and let you know how we can help you and your business. Where we need to perform our obligations under the sale agreement contract as executed by our franchisees. To register you as a new customer/client/associate or prospective purchaser. To process and deliver a service to you in respect to specific enquiries. Supply of business sales details/information memoranda plus related background information. To customise our web site for you. To track business prospects that you have registered /or shown an interest in. To maintain our ‘client engagement area’ which connects buyers with sellers by recording a legend of information provided together with electronic communication and activities. To send you promotional emails about new business we have been instructed to sell together with other items we feel may be of interest to you. To maintain data accuracy and ensure the correct use of information, we monitor and adjust our physical, electronic and managerial procedures to safeguard and secure your personal data while in our care, or in the care of any outside suppliers with whom we may contract to process your data on our behalf. Such Data Processors and Sub Processors will be contractually bound to process only in accordance with our instructions and to maintain technical and organizational controls in compliance with GDPR. Data is stored on servers within the EU. In the event of us becoming aware of a security breach that may affect you, we’ll notify you of the breach, provide a description of what happened and later report the action we took in response. When you give your personal data to BPML we will process that data in accordance with our responsibilities under the Data Protection Act 1998, the Privacy and Electronic Communications (EC Directive) Regulations 2003. GDPR Regulations (May 2018) and other relevant legislation. Events: When we meet you face to face and we share contact details/exchange business cards and follow up with an email – which is explicit in requesting your consent to be added to our database. Website: When visitors register for our newsletter or to download information we retain personal data that is input at the time of registration. 3rd Party Websites: BPML subscribes to a number of UK and Overseas web sites that specialises in the promotion of business sales, typically www.daltonsbusiness.com; www.businessesforsale.com; www.rightbiz.com; such enquiries are received, and your personal data is added to our data base. You will only receive the sales details on the target business together with any other sales details that we feel would be of legitimate business interest to you in your search for a business opportunity. Telephone or email enquiries: We will ask you at the time of enquiry if you are happy for us to retain your details for our marketing purposes. We provide you with the opportunity to unsubscribe to email communication. Client Contracts: We will record our client’s details and they will also have the opportunity to opt out of marketing communications. Data bureaus: We will only purchase lists from suppliers who are GDPR compliant, and who can assure us that every contact has opted-in to receive information on relevant products and services. Third parties or publicly available sources. We may receive personal data about you from various third parties and public sources (e.g. Companies House) subscription directories. (d) M&A and brokers acting for purchasers. Data Contractors using publicly available sources such as directories or websites based inside or outside the EU. This is information we receive about you if you use any of the other websites we operate or the services we provide. In the case of services that we provide to you, we will inform you at the first point of contact with you. By interacting with BPML as defined in this policy, the Subject provides their consent for the transfer and use of their data by our Data Processors and their Data Sub-Processors which BPML believe will enhance service delivery and customer relationship management activities. No data transfer will be undertaken that is outside the strict scope of the purposes stated in this policy, or that will materially degrade the security of the Subject’s data or the Data Subject’s rights and in any event, the security provisions will be compliant with the applicable Data Protection Laws. We understand your personal information is important and we are committed to protecting your privacy. Any information you disclose will be for BPML use only and unless agreed otherwise with yourselves in advance will not be passed to any third party. If BPML or substantially all of its assets are acquired by a third party, in which case personal data held by it about its customers will be one of the transferred assets. Any member of our group, which means our franchisees, our ultimate holding company, as defined in section 1159 of the UK Companies Act 2006. In the event that we sell or buy any business or assets, in which case we will disclose your personal data to the prospective buyer or seller (or their representatives) of such business or assets. 9. How do we contact you? Our marketing communication is via email, direct mail (post), telephone and at events. You have the right to opt out of any of these communication channels. 10. How do we record and hold your data preferences over time? We will only retain your personal data for as long as necessary to fulfil the purposes we collected it for, including for the purposes of satisfying any legal, accounting, or reporting requirements. Your data will be held for up to 6 years unless you advise to the contrary. To determine the appropriate retention period for personal data, we consider the amount, nature, and sensitivity of the personal data, the potential risk of harm from unauthorised use or disclosure of your personal data, the purposes for which we process your personal data and whether we can achieve those purposes through other means, and the applicable legal requirements. Every piece of communication will provide you with the option to opt out or to be removed from our database altogether. By providing this constant opportunity to update your preferences, we can be confident that we are only sending communications to those who are actively interested in our service offering. Please be assured that we would never want to be considered a nuisance to you or for our contact to result in a complaint. You have the right to ask us not to process your personal data for marketing purposes. You can exercise your right to prevent such processing by checking certain boxes on the forms we use to collect your data or by clicking the unsubscribe link provided on our marketing emails. If we do not hear otherwise from you, we will assume that the information you provide to us is accurate and up-to-date and we will continue to use the information to send you any communications we think are of use to you. BPML operates through a network of ‘Regional Partners’, these are private individuals, partnerships, or limited companies who are privately owned and have been granted a license to trade as Business Partnership and BP Corporate. BPML has no liability for the actions of Regional Partners and in turn they must not purport to represent BPML. The businesses on this website are advertised on this website for sale and you should not contact a person advertising on this website unless you have a genuine interest in purchasing the business advertised and have access to sufficient funds to acquire the target business at the current asking price. You should not contact any person for other purposes such as the solicitation of business or offering of your or any other person’s goods or services. BPML and its Regional Partners will hold and process any personal information which you provide to us on this website at the time of registering in order to facilitate and enhance our services to you. Please follow the ‘policies’ drop down box for our privacy and cookie policies. BPML does not carry out any due diligence or investigations into the businesses advertised on this website or the person’s advertised and has not verified any of the information appearing on this website. Accordingly, BPML can accept no responsibility and shall have no liability whatsoever, for any claims, demands, costs, losses, expenses or damages howsoever arising whether direct, indirect or consequential in respect of any omissions or consequences of actions taken by users based on any information, opinions or advice contained within this website or provided by its Regional Partners. BPML, a company registered in England and Wales (registered number 04459291) trading as Business Partnership and BP Corporate, has made all reasonable efforts to ensure that all information provided through the BPML web sites (www.business-partnership.com & www.bp-corporate.com) is accurate at the time of inclusion, however it is possible that from time to time there may be occasional errors or omissions for which BPML and its Regional Partners apologises and holds no liability. This website may contain hyperlinks to third party websites. Where this website is linked to any website operated by any third party, BPML accepts no responsibility or liability arising in respect of any content or information on such website. The presence of a hyper link on this website shall not be deemed to be a recommendation or endorsement of such website by BPML. We use the word ‘Partner’ to refer to the owner of a territorial business licensed to trade as ‘Business Partnership’, or an employee of, or consultant to, the territory owner who is considered to be of equivalent standing. 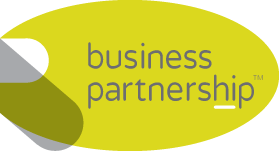 You fully understand and agree that all information supplied to you that relates to any client of Business Partnership will be kept strictly confidential; it is further agreed that if you wish to pursue your interest in any opportunity promoted by BP or its Regional Partners you will be required to sign an on-line NDA and agree to adhere to BP’s Terms of conditions of purchase. You will be required to agree to an NDA and T’s & C’s for each and every business opportunity and access to this function will be available through our on line sales particulars. Acknowledge that Business Partnership (BP) has and will supply me with information of a confidential or proprietary nature (the Confidential Information). Confidential Information shall mean any information or data relating to any Business Partnership Client’s business or affairs disclosed whether in writing, orally or by any other means. Treat it as confidential and make no copies thereof. Not disclose it to any third party without the prior written consent of Business Partnership. And use it solely for the purpose as agreed between parties. Further acknowledge that all documents and other material things embodying any of the Confidential Information received under this agreement shall remain the property of the supplying party (or other owner thereof) and I shall hold them as Bailee for the supplying party, exercising reasonable care to keep them safe from access by unauthorised persons, and shall return them to the supplying party within one week of a written request from the supplying party. Will not attempt to contact the employees, customers, creditors, suppliers or landlords of any client of Business Partnership at any time. Will not use the confidential information to seek to obtain any commercial advantage over any client of Business Partnership. The laws of England and Wales shall govern this Agreement. The Sales Particulars, and any subsequent commercial information relating to this business, are supplied on the strict understanding that it should be kept confidential and must not be copied or supplied to a third party without the consent of Business Partnership (BP). To treat all information contained herein, and as may subsequently be supplied, with complete confidentiality. To make no approach directly to the Owner or the Business and/or Property either personally, by telephone, or in writing without the consent of BP. To visit the Owner and/or the Business or Property only and strictly by prior appointment to be made and confirmed through the Offices of BP. To make no approach to the Staff of the business or discuss the proposed sale with any staff member without the consent of the Owners. To request and obtain any and all information required, including any financial information, solely through the Offices of BP. To submit any offer for the purchase of the Business and/or property directly through the Agents BP and not directly to the Owners. These Terms and Conditions are supplied as a preliminary to any further negotiations taking place. If financial information or a viewing is requested you will be required to sign a legally binding Non-disclosure Agreement (NDA) and Terms and Conditions which can be found online by clicking the box “Click for further information”. That in the event of agreeing to purchase the Business and/or Property you will pay to BP a deposit as a sign of good faith amounting to 5% of the purchase price but subject to a minimum of £5,000. This deposit will be held by BP in a Non-Interest Earning Client Account with no Interest being due or paid. This deposit will be applied to the purchase price at the time of completion. This deposit will be paid “Subject to Contract” and will be refundable (subject to clauses 2 and 3 below). That if you withdraw from the purchase for any reason once Heads of Terms have been agreed without good reason and where such reason is not connected to the purchase of the business, then the deposit will be used to cover our Client’s reasonable legal costs up to the point of withdrawal (to a maximum of £2,500), such costs being subject to VAT,. That if you withdraw from the purchase for any reason once Heads of Terms have been agreed or Memorandum of Sale has been prepared and issued you will be charged an Agents Fee of £795.00 plus VAT. The balance of the deposit shall be returned to you forthwith. If the Vendor withdraws from the business sale for any reason, the deposit monies will be returned to you in full. That upon an offer being accepted on a Leasehold proposition you will agree to supply to BP the names and addresses of appropriate referees including Bankers to whom BP can apply for a reference in order to seek the Landlords consent for an assignment of the current Lease or issue of a new Lease. These particulars contained herein are for the general guidance of intended purchasers and tenants and do not form any part of an offer or contract. All descriptions and any other details are given without responsibility on the part of BP or their vendor client and any intending purchasers should not rely on them as statements or representations of fact. All intending purchasers or tenants should satisfy themselves to the correctness of all any statements contained herein prior to making an offer by inspection or otherwise. Neither BP nor their employees make or give any warranty whatsoever in relation to the business and or the property described herein. All rights reserved Business Partnership (Management) Limited Sept 2018.